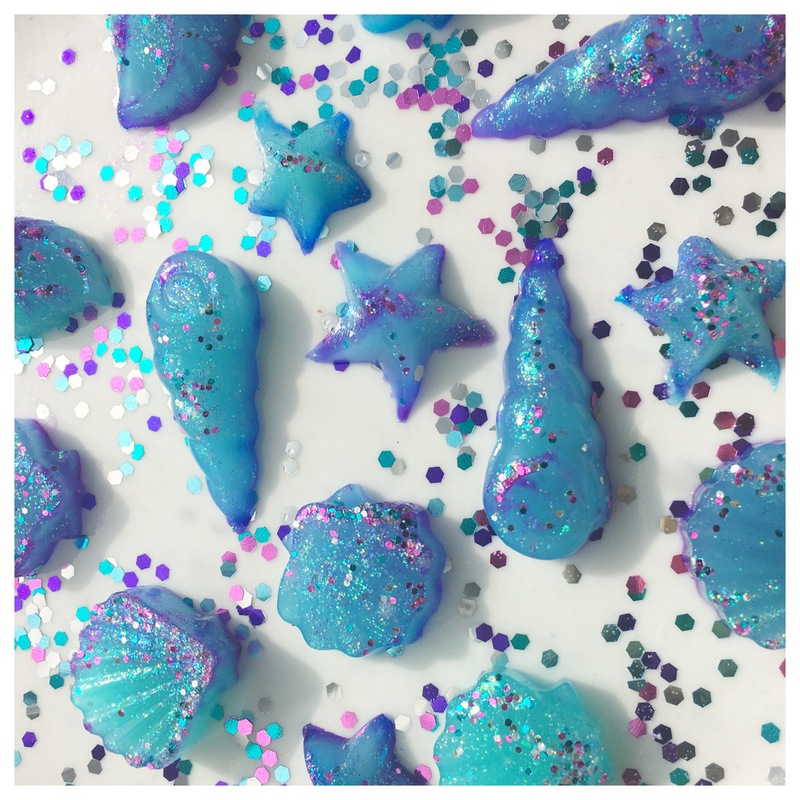 In my previous post we made adorable mini unicorn shower jellies, and they came out so great we wanted to do another batch! As I had mentioned with the unicorn jellies, I had 2 cute candy molds from previous projects and I thought they would be super cute to use. 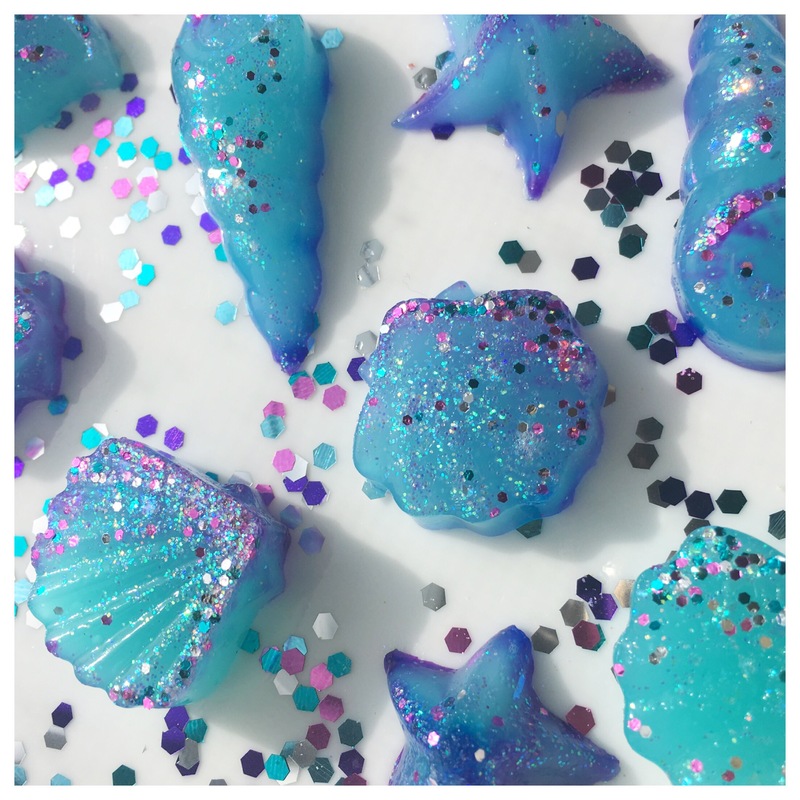 One of these molds being seashells, naturally, mermaids and pastel hues of lavender and teal came to mind. 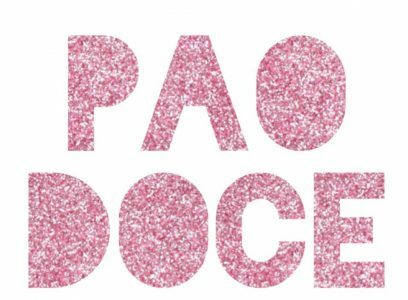 I mentioned in my previous post, but to recap I’ll say it again, that as much as we loved the big ones at lush, I had so many ideas for the cute small sizes. 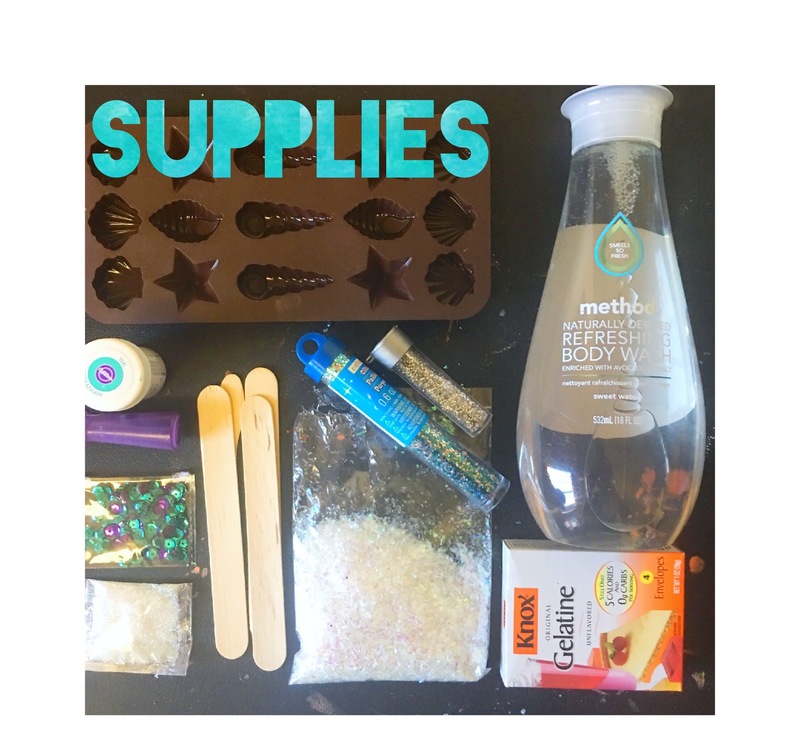 They can be great as a sleep over activity for tweens and teens to customize and each have some to take home, adorable mini spa party favors even for adults, or inspiration for the little ones to wash their hands (as moms know, it’s sometimes a battle to get them to wash with soap and water). 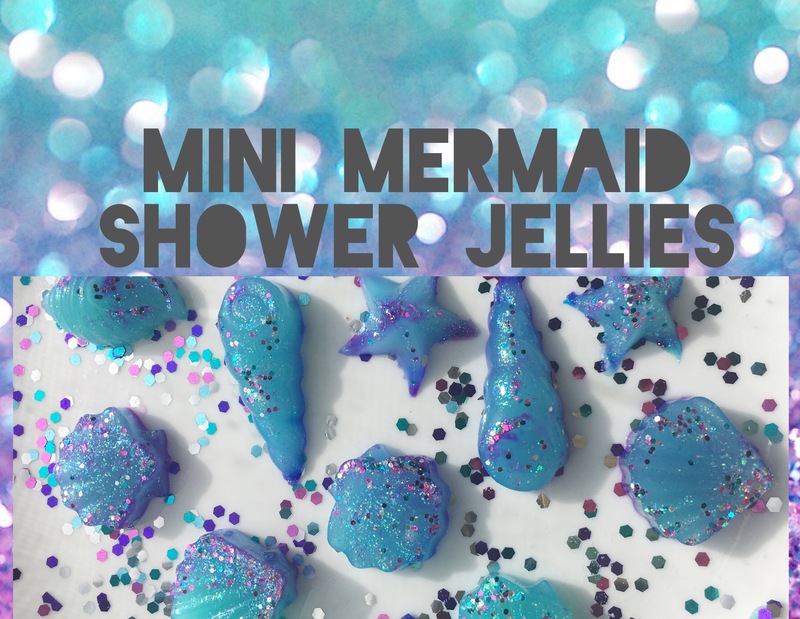 There are so many candy molds, from plain to flowers to dinosaurs, these mini shower jellies can customized to make just about anybody happy! 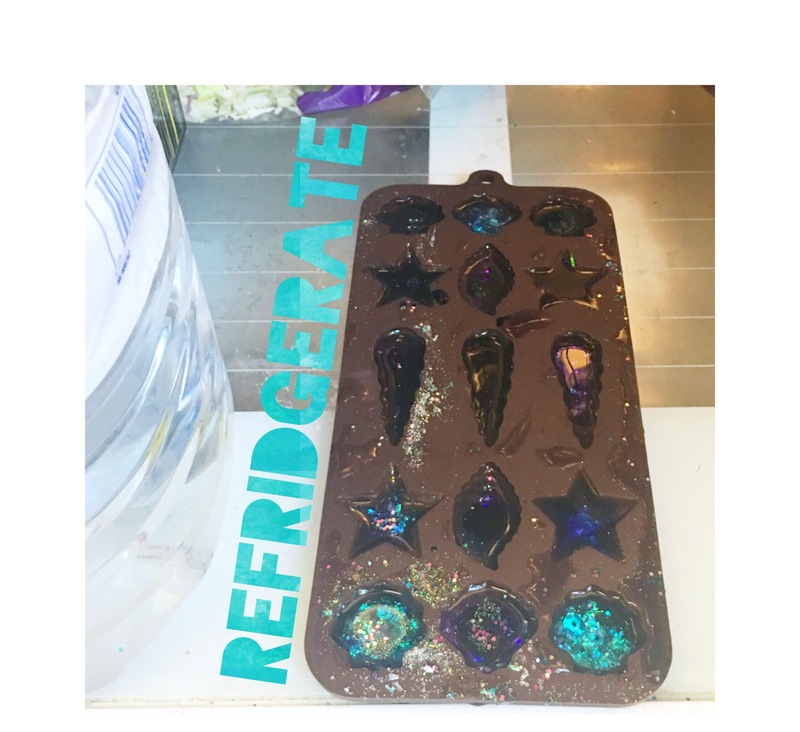 Move your mold to a flat area close to your fridge to make transporting it easier, and then pour into the molds to begin to add color. 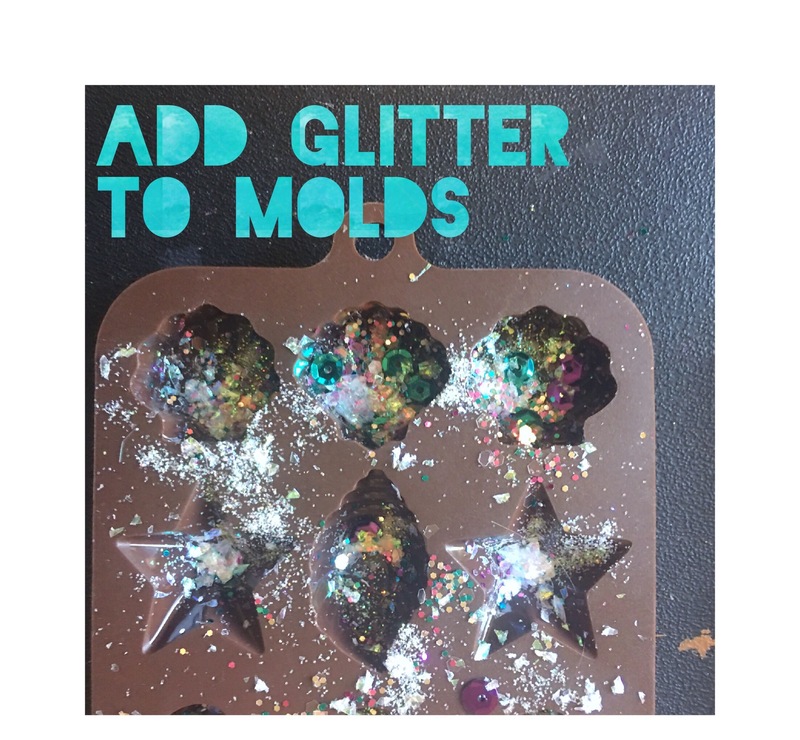 Because the areas in the mold are so small, it’s easy to over saturate it with color. 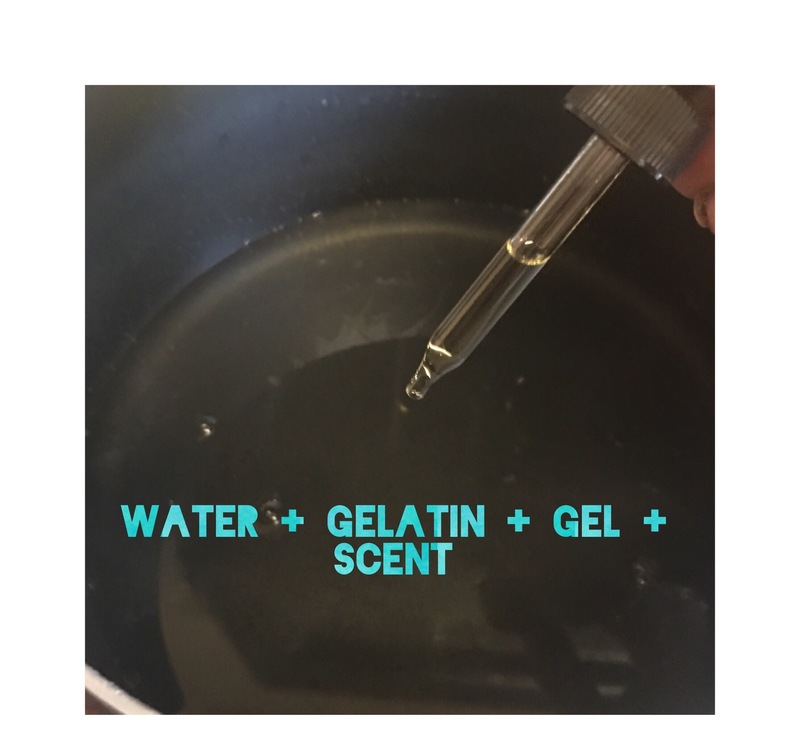 I like to get some color on popsicle stick then dip it into the solution…. 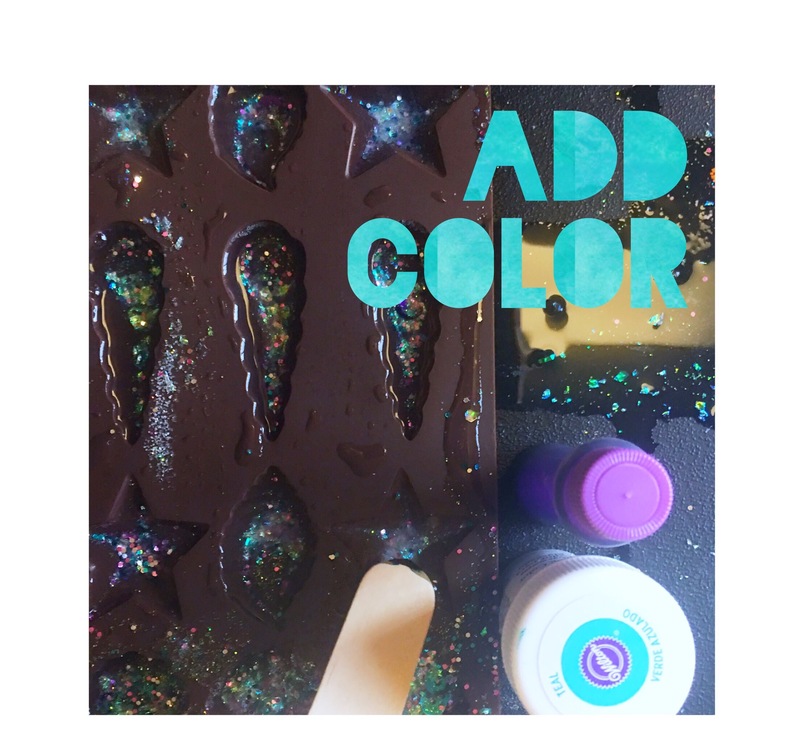 have fun with the colors, mixing a little pink or purple in from the corners of the mold to make a unique set of jellies! Pop out of the mold, and enjoy!